Hey Mamas! It’s been too long since I wrote on here!!! I am usually pretty good about posting at least ONCE a week, but it’s been crazy ya’ll. I started a new business endeavor and it’s been on fire this week. In a good way – like, a lot going on. I will post about this next week. 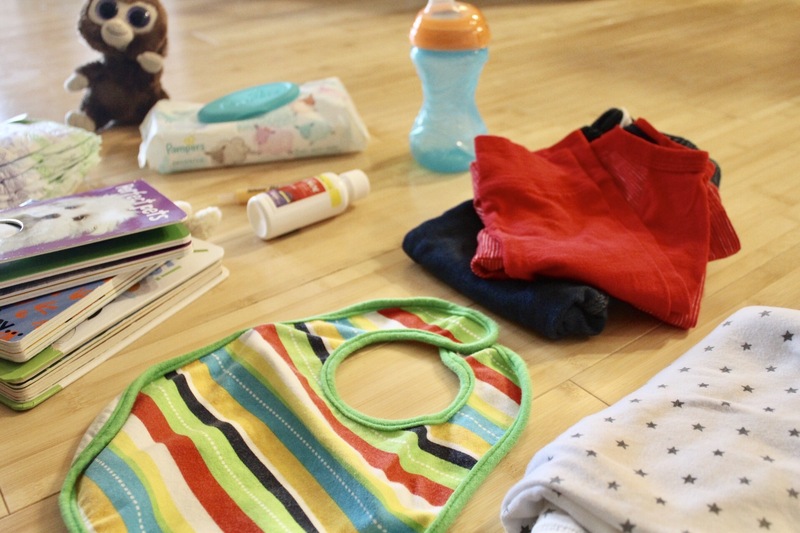 In the mean time, I wanted to share my diaper bag essentials. 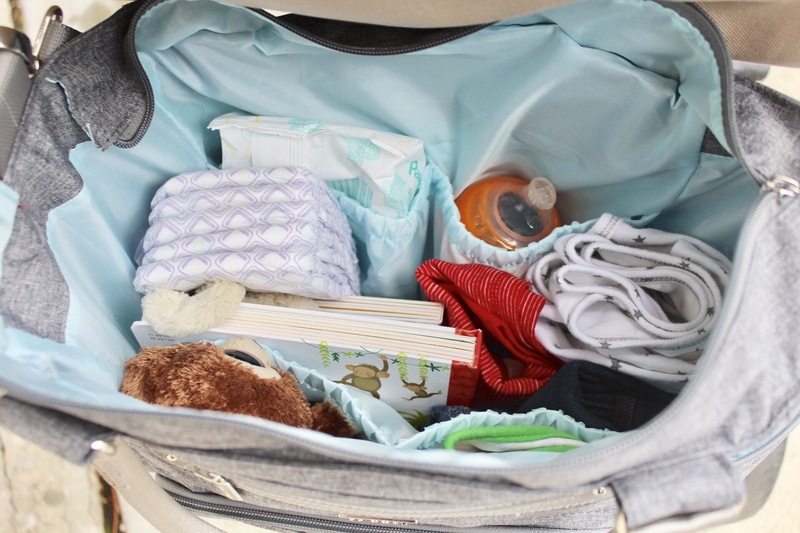 Getting out and about with a little one is KEY but it’s also important to make sure you are prepared at all times with a well packed diaper bag. Funny story, the first time we ever took Calvin out of the house, we went to a mexican restaurant and left the diaper bag under the table when we left! LOL. Craig had to drive back to get it. 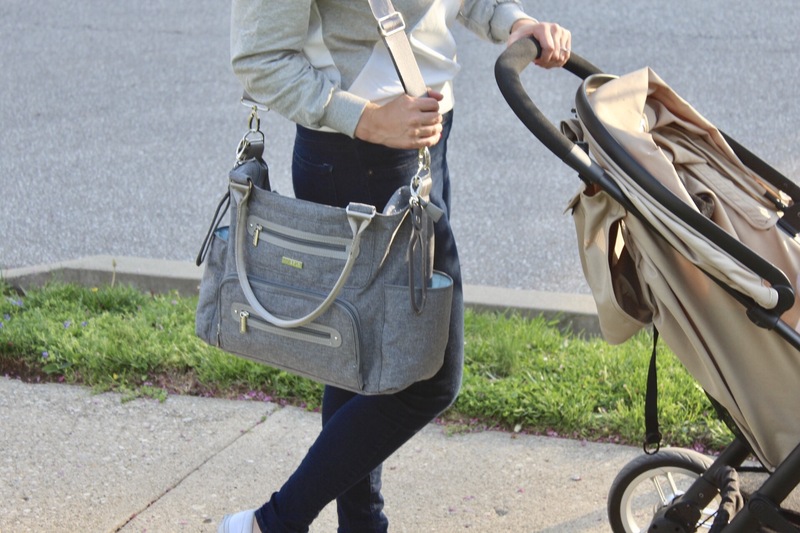 Having a diaper bag in tow is definitely a change – and it’s important to have the RIGHT one with you as your go-to. What do I put in this caprice bag? 3.) Stuffed animal – Calvin is oddly obsessed with soft stuffed animals. He calls them ALL “ee ah” because we used to sing an annoying “ooh ee ooh ah ah” song to him when playing with his stuffed monkey. 4.) Books – not like our child sits still long enough to read a book yet, but we always have them with us in case, for distraction. He does like books with anything furry to touch. 6.) Bib – because 1 YO’s are messy. 7.) Children’s Tylenol – no we don’t drug Calvin all the time but he constantly has teeth coming in and sometimes some relief is necessary. 8.) 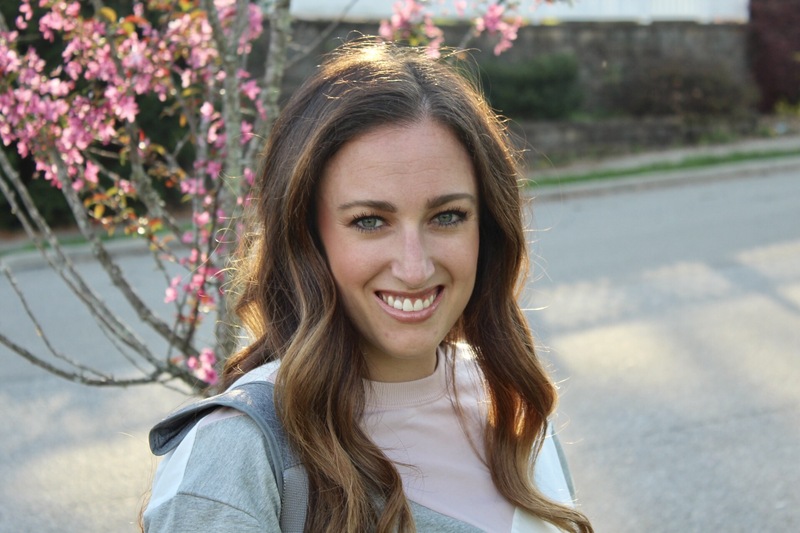 An extra outfit – because #blowouts. These don’t happen much anymore at all but when they do, you don’t want to be without extra clothes. 9.) A blanket – again, with the furry theme, Cal loves thick, soft blankets but for diaper bag purposes we usually bring a thin cotton blanket just in case. 10.) (Not pictured) – an extra pacifier! 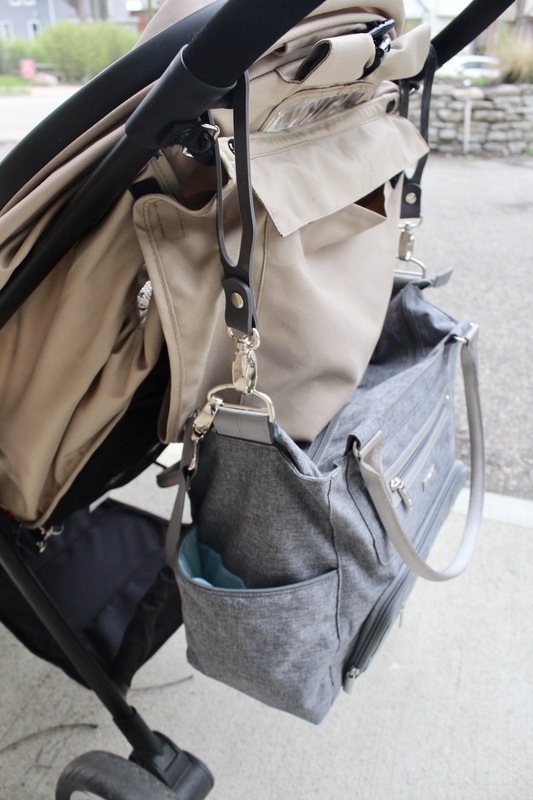 One of the best features of the caprice bag, is its ability to attach easily to a stroller or shopping cart with these subtle hooks. ^Shop this bag @ your local babies R us! I love reading posts like this!!!! You are so organized and seem like such a great mommy!! 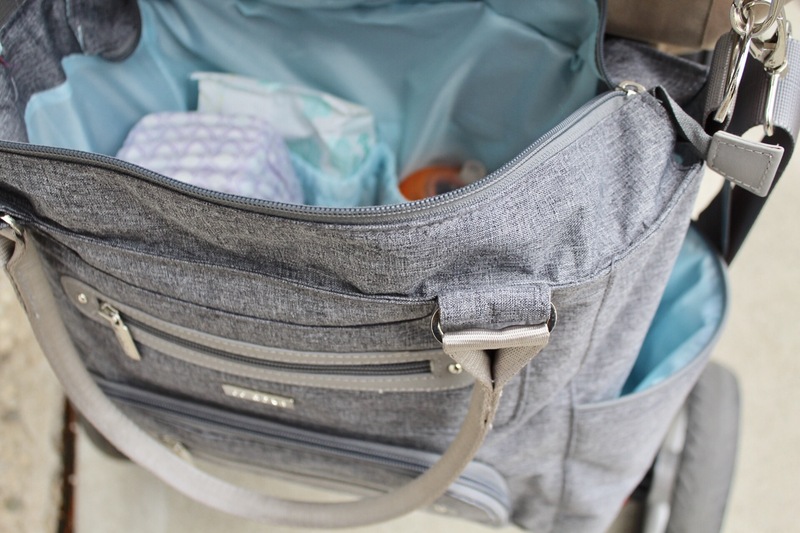 I love our JJ Cole bag but now that my son is a little older I tend to just throw a diaper, wipes, and a snack in my purse and out the door we go. Sometimes I wish I planed better and others I’m glad I’m not lugging around a big bag full of stuff! That’s such a cool bag!! 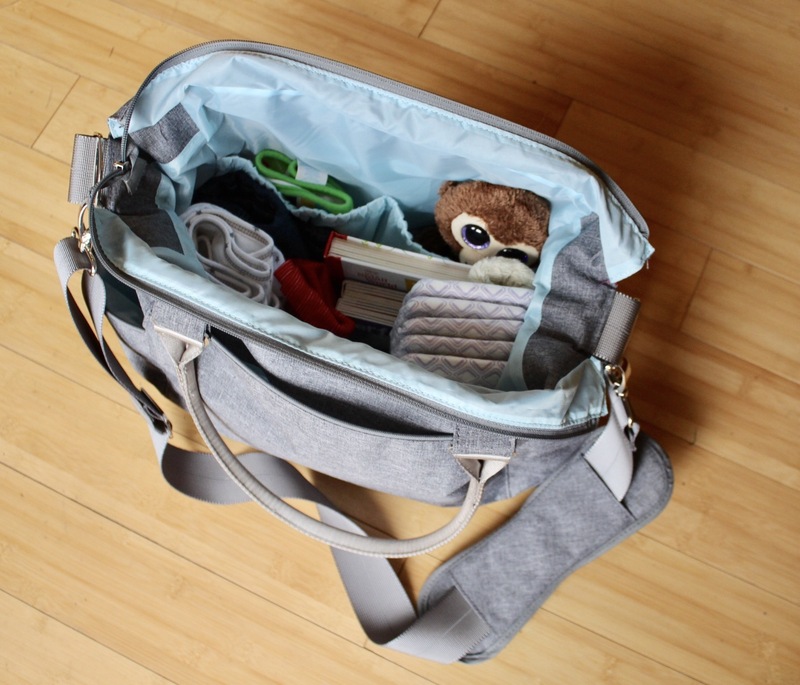 It always feels so good to have the diaper bag perfectly organized. Mine stays nice and neat for all of an hour before I go digging through it and mess it up!! I love this diaper bag! I really like how it attaches to your stroller. So handy! Good luck with your engagement photos. I’m sure you and your fiance will look great!